It's a pretty commonly recognized fact that you should switch lotions and moisturizers according to season. When it's cold and dry outside, your skin needs something heavier and creamier, something more nourishing than usual. And when it's hot and sunny, and your skin is producing more of it's own moisture, a lighter formula will do, preferably one with some sunscreen in it. Well ladies and gents, I think I've found the perfect summer moisturizer. 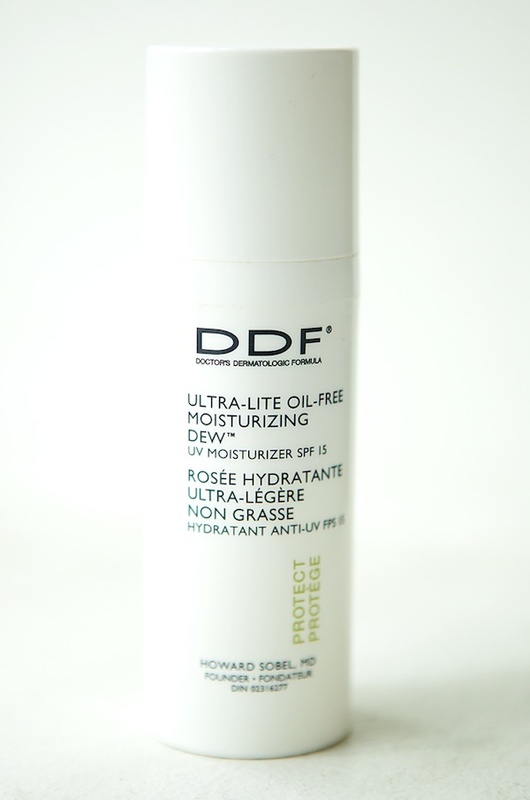 I've always loved DDF products in general--they were developed by an extremely respected dermatologist and it shows. They're gentle on the skin, hypoallergenic, and most importantly, effective. My skin tends to err on the side of oily (I try to look on the bright side by telling myself I'll look younger longer), so his super light oil-free day lotions have always been ideal for me. I just discovered this version with sunscreen added in, and I couldn't be happier--perfect for long days at the park or weekends at the beach. I love it when you post beauty products! I LOVE the fresh cleanser you posted awhile back. It's the only cleanser I like to use. Have you tried the Revolve 400X Micro-Polishing System? My favorite moisturizer! I use the DDF during the day and Ole Henriksen Sheer Transformation before bed. I tend to be oily as well; these two products are the perfect combination for me. I just got the DDF Oil Free moisturizer from some Sephora Beauty Rewards points I redeemed (a week ago- right when I needed it to travel!) and I am LOVING it!!! Will have to try the ultra-lite one once it gets all hot and gross in NYC. I can't wait to try this moisturizer, it sounds great! We have lots of beauty products in our store for you at www.beautywizard1.com. Take a look today!